Singles' Day: Sweet baby Jesus! 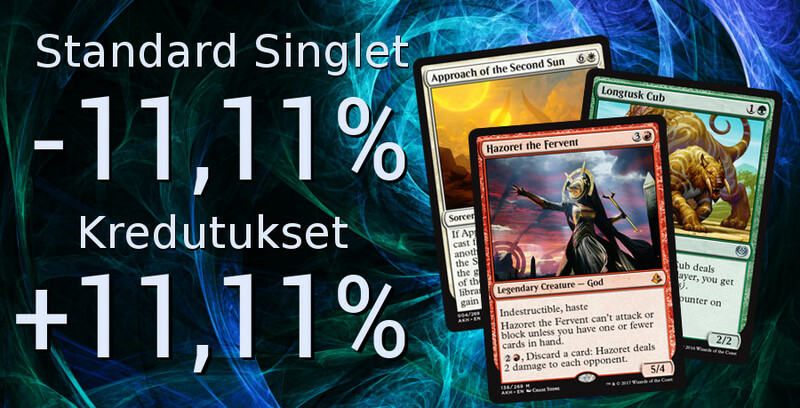 Standard cards on discount and bonus on credit orders during Singles' Day weekend! We are celebrating international Singles' Day tomorrow 11.11. by reducing the price of all the singles in standard sets by -11,11% (offer valid 11.11 - 12.11.) So what are you still reading this for? Go get something nice for yourself handsome! Also we're giving a +11,11% bonus on every credit order made during the Singles' Day weekend! Throw those old cards that have been rotting away in your binder and get new shiny credits in return!